Meet Hess Estate’s Winemaker Stephanie Pope as she presents the award winning wines that he helped create. Taste 7 wines and enjoy crudites and charcuterie as Stephanie takes us for a tour of her fine vineyards. What better way to learn about wine than starting with the soil and tasting the complexities in each glass? When: Thursday April 25, 2019 from 4-6 P.M.
Plymouth, MA or calling us at 508-746-1943. 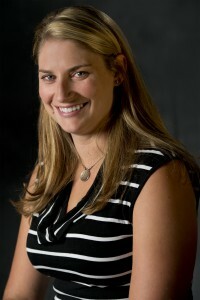 Stephanie Pope is an integral part of the Hess Collection winemaking team. Her focus is on wines from estate vineyards on Mount Veeder, the coolest mountain growing region in Napa, among the most rugged and challenging places to farm in Napa Valley. She began her winemaking career at Trefethen Vineyards & Winery, another iconic Napa producer, before moving to New Zealand to work in the cellar at Whitehaven Wine Company, where she fell in love not only with Sauvignon Blanc, but with her future husband. She returned to Napa to join Charles Krug Winery, working in the winery lab and later as Assistant Winemaker, moving to The Hess Collection in 2008.